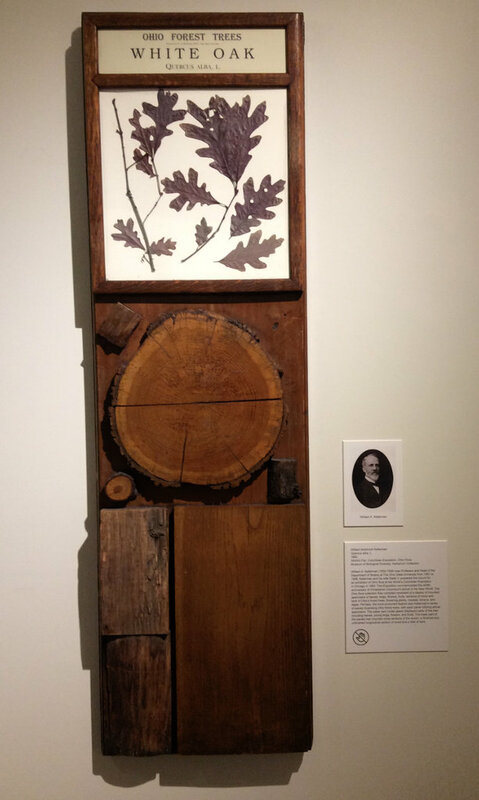 One of these framed mounts, twigs and wood section of the white oak tree, Quercus alba L., is currently on display at the Thompson Library until May 14, 2017. Dr. Florian Diekmann, head of the Food, Agricultural, and Environmental Sciences Library and Student Success Center, was in contact with the staff of the OSU herbarium early June last year seeking help in displaying specimens of white oak as many of the wooden structures of the main library were obtained from that plant. Since the original twigs and leaves were not in good condition and the glass was chipped in a corner, Dr. Diekmann agreed to have it restored and refurbished. This is just one of the many framed, mounted but not displayed items in the Herbarium hitherto. The idea behind the gallery is to show the “unique connections and history shared between The Ohio State University and Ohio’s forests.” The Ohio State University Herbarium was glad to share its resources with the general public and has also made other items available for display at the gallery. 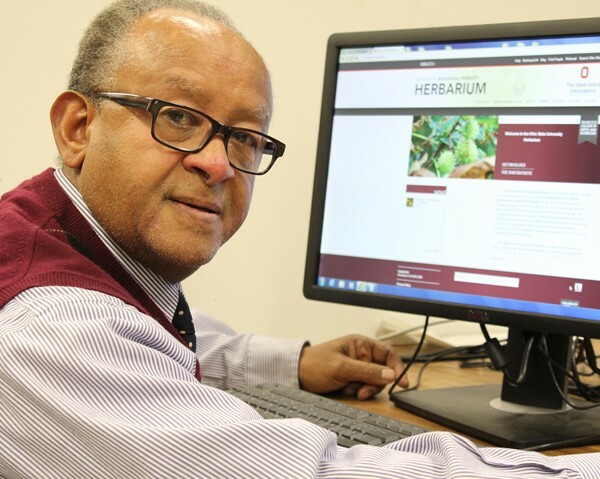 About the Author: Mesfin Tadesse is curator of vascular plants at The Ohio State University Herbarium. 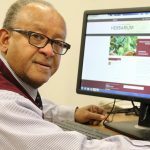 Posted by nelson.794@osu.edu at 7:00am May 8, 2017 Posted in Collections, Events & Outreach, History, Local Flora and tagged Mesfin Tadesse, OSU herbarium, Thompson library, World’s Fair. Bookmark the permalink.